This month sees the completion of the project to catalogue the George Benjamin collection. 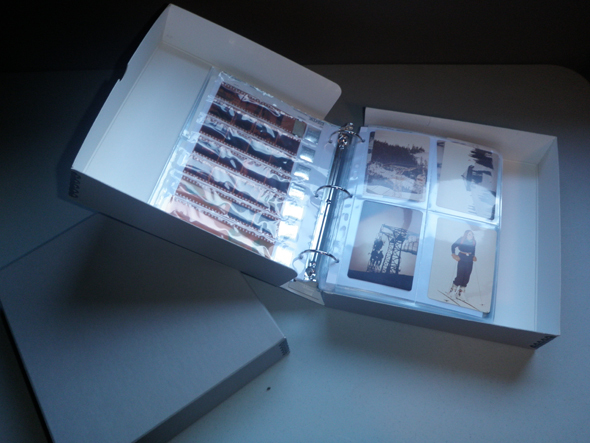 This collection is definitely different to any other that I have encountered in my career in archives before, but it is certainly of great significance to the history of Whistler. 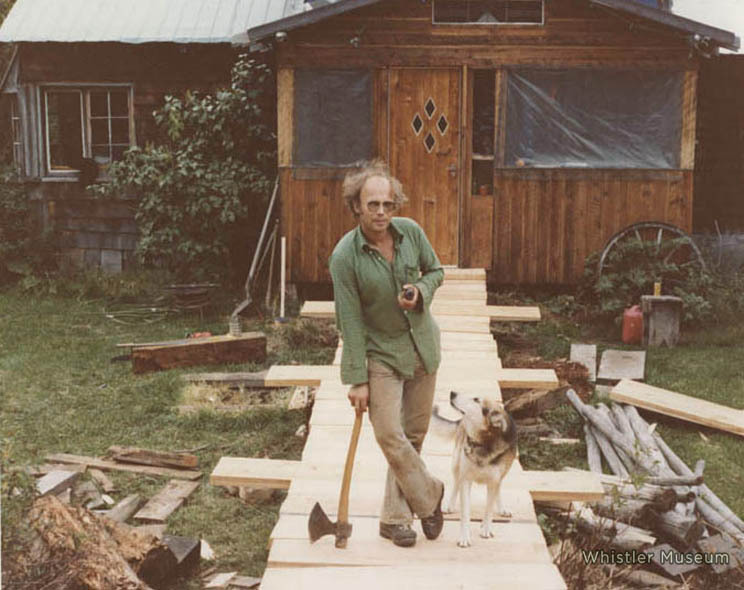 George Benjamin moved to Whistler in 1970 and took up residence in “Tokum Corners”, a roughly made cabin with no electricity and no running water. Many of you will find the name “Tokum” familiar from the eponymous ski-run on Whistler Mountain – and this is no coincidence – one of George’s roommates at Tokum Corners named it while working on the mountain as this was his route home from a hard days work. “Tokum Corners” was also used to refer to a part of Dave Murray Downhill – the downhill ski racing run that was used during the 2010 Winter Olympic Games. 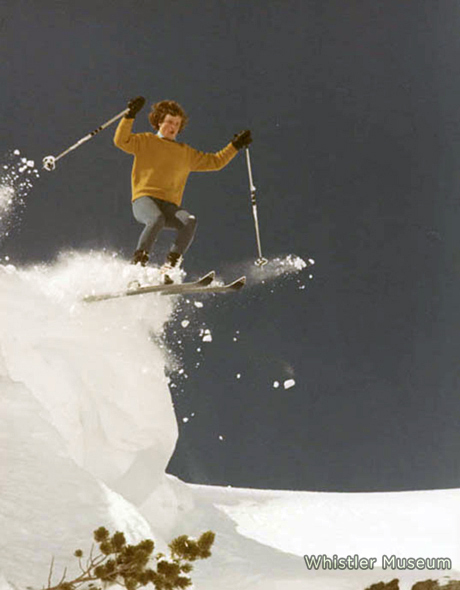 As you can gather from these accolades, Tokum Corners was an institution in 1970s Whistler, and was host to many parties and a hub for the “ski-bum” population of Whistler. George or “Benji” as he was more commonly known was also a semi-professional photographer. His family, back in Ontario, owned a photo finishing business and this allowed him to develop his photographs for free – a handy asset in the days before digital photography. In 2009 when I was working on the Museum’s new exhibit we were looking for material to use in our squatters and ski-bums display and it became apparent that there was actually very little material relating to that aspect of Whistler’s history in the Museum. The pioneers were well covered, as was the history of the development of the ski-hill, but the history of the ‘counter-culture’ of squatters in the 1970s, which was actually more like the main-stream culture at that time was pitifully under-represented. This provoked a search for material and we were rewarded with the donation of a huge collection of photographs from Benji. Although I was very excited to receive the collection I was also a little overwhelmed. Working as the Collection’s Manager for the museum is busier that I could ever have imagined and finding the time to sit down and catalogue five thousand photographs was extremely daunting. Luckily, a grant from the National Archives Development Program was forthcoming and we were able to hire Bradley Nichols for four months to catalogue the collection, re-house it in acid-free boxes to prevent deterioration and to digitize 50 of the photographs for our website. We acknowledge the financial support of the Government of Canada through Library and Archives Canada, and administered by the Canadian Council of Archives.